Home > Pull Your Own Teeth Or Do Your Own Taxes? The Choice Is Yours. Why hire a tax pro to do your taxes online when you can use similar software to do the job yourself? Kay Bell in USA Today poses these four questions to help you decide. 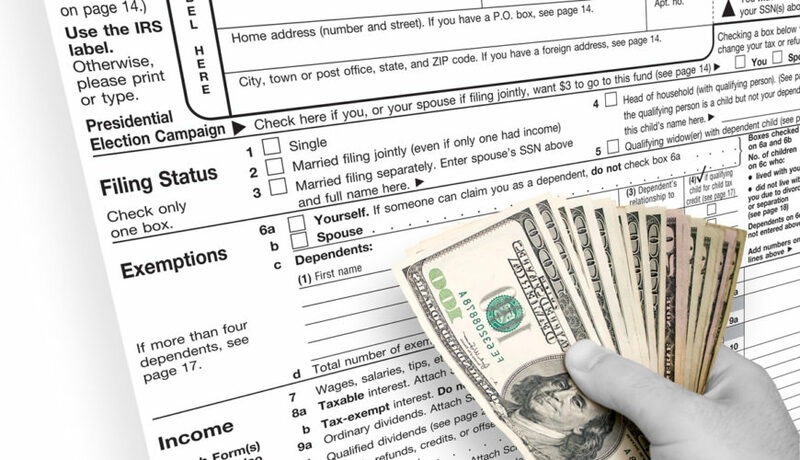 Paying a tax professional can add up, especially if your filing requires a lot of forms and time. A National Society of Accountants survey released in 2015 found the average fee to complete a Form 1040 with itemized deductions on Schedule A and a state tax return was $273. That’s along the lines of IRS estimates, which found the cost of filing a 1040 was $270. You can buy tax software for less than $100. Discounts common during tax season can lower the retail price even more. The dollar cost to do your taxes is worth consideration, but don’t forget the value of your time. The IRS estimates that you’ll need 16 hours to complete a Form 1040. That’s the individual return that, according to the IRS, 69% of us use. The hours to complete this longest of the three options take into account gathering records, tax planning and filling out and submitting the return. If you use a tax preparer, you’ll also have to commit some time to gathering tax statements and other material. But once you deliver the necessary documents, you’ll have more time for other tasks. How complex (or not) is your tax life? If you’re a single filer who rents an apartment and your workplace 401(k) is your only investment, tax software should work fine. Even when things get a bit more complex — you get married, have a child and itemize deductions for the first time — most software will walk you through these tax situations. But if you run your own business, either as your main job or on the side, buy a home or inherit property, it’s probably the right time to get some personal tax advice and guidance. Comprehensive tax software cannot talk with you about your plans that could affect your taxes. A tax professional, however, can outline what might happen if you want to donate rather than sell the stock your Uncle Henry left to you. A tax adviser can offer insight into tax law changes that might affect you and whether you should make certain moves now or wait. Are you ready, willing and able to deal with the IRS? By signing your tax return, you are responsible for all the information on the forms. If you do your taxes yourself, that means you’re the one the IRS will come to with any questions — possibly years after you’ve filed. A tax pro, however, can be your point person. By filling out a line on your 1040, you can direct the IRS to bring any questions about the filing to your tax preparer. For those IRS tax situations that need specialized attention, AccuCount LLC has a full staff of Enrolled Agents ready to represent you before the IRS.